Pretty cool! Next version of Ubuntu, 19.04 (Disco Dingo) has just been released. I couldn't wait to try it in my VirtualBox setup – seems there are lots of performance improvements that are noticeable even in a virtual machine! Have you installed Ubuntu 19.04 yet? What do you think? I have a tiny server in home office, it used to be a Window 8 based entertainment box but I reinstalled it with Ubuntu 18.10 recently enough to run home automation. There has't been any particular function assigned to this server but I have finally decided what role it will play: it will be an always-on Ubiquiti UniFi controller for my home office network! 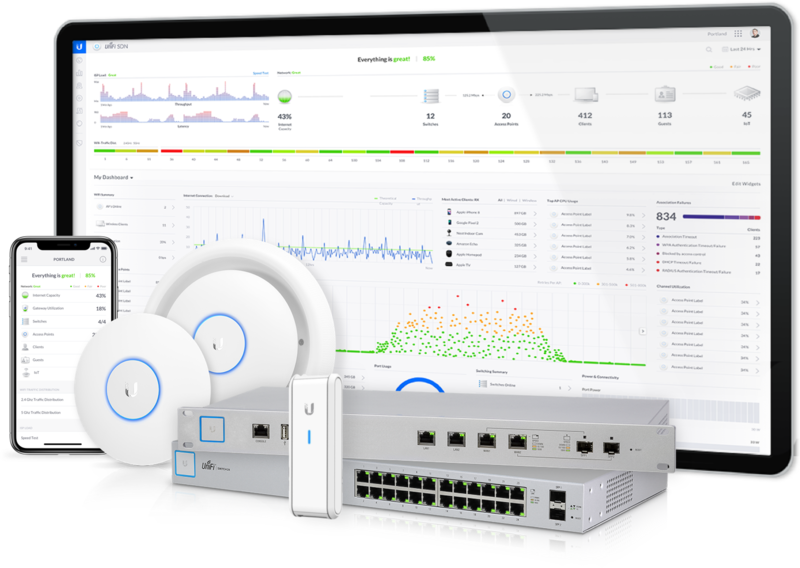 Ubiquiti have a few ranges of hardware, and I'm a big fan of the UniFi series of Software-Defined Networking (SDN) – very easy to setup and manager, plus you get quite a few updates via firmware, without having to change the hardware. Network Management Controller is a piece of software or hardware that is running UniFi controller software that keeps track of all your UniFi devices and configurations. It has its own database for keeping track of settings and states and accepts network (browser or app) connections for remote management. The mobile app for remote management is pretty cool. Although there are official software repositories and RPM/DEB file downloads available from Ubiquiti, they're kind of awkward to use: you still need to resolve software dependencies and preinstall a bunch of stuff. So after a bit of researching online, I found that Glenn R from Ubiquiti's community forums has prepared scripts for automatic installation of UniFi controller: UniFi Installation Scripts. There's a script available for the most recent Debian and Ubuntu builds, so if you want to install controller software on Ubuntu 16.04, Ubuntu 18.04, Ubuntu 18.10, Debian 8 or Debian 9 – there's no better way that using one of these scripts. Do you use UniFi? Want to learn more about configuring or managing UniFi solutions? Let me know and I will wite a few follow-up posts.